Versatility Wins. Digital Printing and Finishing Tools Support a Range of Offerings. Print providers strive to be a one-stop shop for clients, maintaining a versatile equipment list in order to produce whatever job may come through the door. Since the dawn of digital print technology, it is easier for print shops to meet everything from one-off jobs to runs in the thousands. Piedmont Graphics is a Greensboro, NC-based print provider. Established in 1995 as a print brokerage service out of a spare bedroom, the business has expanded greatly. Today, the company operates out of a 44,000 square foot facility with more than 60 employees and sales reach approximately $13 million dollars annually. The print provider is focused on providing its clients in all avenues of print collateral, promotional products, fulfillment, and distribution serving local and national accounts. A majority of its customers are retail providers that continue to grow their business to match current trends. They typically have the need for their brand to be produced in all areas of print, including both small and large format printing, promotional items, and fulfillment. Piedmont Graphics serves these clients with runs ranging from one to millions. Internally, 100 percent of its work is digitally printed. The firm relies on regional and national partners to handle offset, flexographic, and promotional requests. 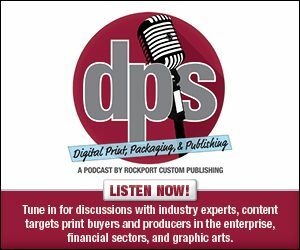 Dwayne Durham, production manager, Piedmont Graphics, says the biggest benefit and challenge of digital print technology in his experience is quantity. The quality of the technology has come to a point where it can compete—and in some cases be better than traditional offset—but is limited by longer run lengths. That said, the advantages to producing items in quantities as little as one with the same level of quality is advantageous. Piedmont Graphics has an extensive equipment lineup, including small and large format production. For its full color, small format production work it relies on a Ricoh Pro C9100, Kodak NexPress S3000, and HP Indigo 7900. It also runs a Kodak Digimaster E150 and HD300 for B&W work. The Ricoh Pro C9100 produces 130 pages per minute (ppm) in simplex in 1,200 dpi. It also features a range of inline finishing, including three hold WireO/twin loop, and coil punching. The maximum paper size is 13×19 inches and the maximum image area is 13×27.2 inches. The HP Indigo 7900 runs 120 ppm for four-color process. In Enhanced Productivity Mode it can print up to 160 ppm in seven colors, including white. It features the HP Smart Stream Print Server and supports a maximum paper size of 13×19 inches, and a maximum image area of 12.4×18.5 inches. The Kodak NexPress 3000 produces 120 ppm in four-color process. The device offers fifth color station options including gold metallic ink or varnish. The maximum sheet size is 14×20 inches and an image area of 19.5×13.125 inches. Its large format equipment lineup includes two flatbed HP Latex R2000 Plus Printers, which were installed in 2019; and a series of roll devices including an HP Latex 3100 and HP Latex 570. One important area is finishing. One of its key finishing tools is its Saber cutter from Colter & Peterson. Piedmont Graphics brought this piece of equipment into its facility in the Fall of 2016 to keep up with an increasing workload, particularly laminated sheets. For cutting, the company also utilizes an Itoh 115 45 inch guillotine cutter, Standard Horizon RD-4055 Rotary die cut system, Esko Kongsberg C64 flatbed cutter, Esko Kongsberg iXL-25 flatbed, MultiCam 3000 Series Router, and a GraphTech FC98600-160 Series Cutting Plotter. Folding is another essential finishing task, for which Piedmont Graphics relies on a Morgana DigiFold Pro Creaser/Folder and an MBO B21-C Continuous Feed Right Angle Folder. For bookbinding, it utilizes a Duplo DSF 2200 Feeder and 3500 saddle stitch booklet maker and trimmer, MBM saddle stitch booklet maker, JBI Docu-Punch Auto Puncher, and Rhino Coil/Wiro Binder. For laminating, it employs an Achilles’ Power laminator, two D&K Double Kote Jr. thermal laminators, and Seal 65ProMD 65-inch Thermal/Pressure Sensitive Laminator. Finally, for banner and sign finishing, it operates two Miller Weldmaster T-300 Welders, two Edward Segal Auto Grommeter, and a tabletop sewing machine. Piedmont Graphics regularly produces graphics for various grocery retailers. The print provider works with different grocery chains to create weekly sale signage as needed throughout the year for all of its existing stores. The signage utilizes many technologies, including variable data, digital print on various substrates, laminating, guillotine cutting, and sorting for store and department distribution on a weekly basis. All signage is store and department specific and features regionalized pricing. To create the signs, Microsoft Excel spreadsheets are imported into Piedmont Graphics’ custom software and merged with Adobe InDesign background templates. The turnaround time is five working days or less. All signs for the grocery stores are printed using the HP Indigo 7900 or Kodak S3000 NexPress then laminated on the D&K Double Kote Jr. and Guillotine Cut on the Saber X. “The Saber plays a major role in the efficiency of this weekly program using the double arm to cut thousands of laminated signs at various sizes,” says Durham. He adds that this is a weekly process that includes thousands of individual signs that have specific variable data print that is crucial in relation to ship points across the U.S.
Digital print technologies enable print providers like Piedmont Graphics to meet the needs of a range of clients. By maintaining a stellar equipment line up, it remains versatile and profitable.